Sleeping beauty ... or femme fatale? Painted with oil paints on a 1.2m × 1.2 m square canvas. 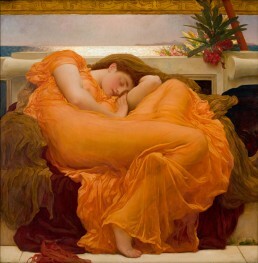 Flaming June has a fabulous back-story and also just one of my personal favourite works of art. I have a huge reproduction of it that I bought as a very young girl when I first moved out of home. I can’t pinpoint the exact reason why I decided on this one and not one of my other favourite pieces at the time – the only real clue I can get is that it subconsciously reminds me of my older sister.. her favourite colour was apricot and she is a natural brunette beauty and loves her sleep (which we used to tease her about constantly)… so in my young impressionable pre-teen years when I was growing up – this picture cemented itself as being a representation of her. I also thought that my mum was Julie Andrews, but that’s a story for another day. It symbolises how fragile the link is between sleep and death. Definitely the most badass explanation, the presence of Oleander could represent the imminent doom of a man’s infatuation with an unattainable woman. It was later bought by an art dealer and confirmed as an original and now resides in the Museo de Arte de Ponce in Puerto Rico. Webber has since offered £6m to buy it off the museum but has been very politely refused. 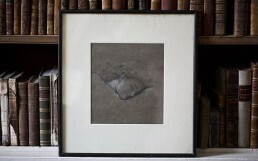 As recently as last year – another piece of the Flaming June puzzle was put together, with the discovery of a pencil and chalk head study of Flaming June uncovered in a closed up room of a recently deceased Duchess. 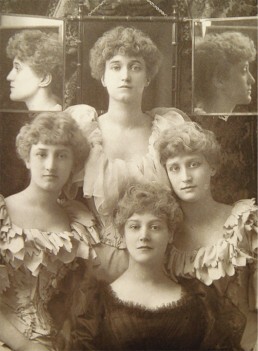 The piece was sold for an estimated $135,000 pounds after being ‘heart-stoppingly’ discovered hanging behind a door in a small antechamber room used by servants just off the Duchess’ bedroom.